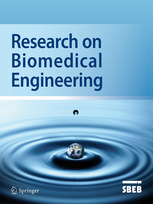 Research on Biomedical Engineering (ISSN 2446-4740 / 2446-4732) is the official journal of the Brazilian Society of Biomedical Engineering and is dedicated to publishing research in all fields of Biomedical Engineering. In addition, this journal aims to provide educational material and professional updating, as well as serving as a forum for the establishment of developing policies and incorporation of health technologies by the public or private sectors. This multidisciplinary journal aims at readers and authors with an interest in using or developing tools based on the engineering and physical sciences to understand and solve problems in the biological and medical sciences. Upon acceptance of your article, you will receive a link to the special Author Query Application at Springer’s web page where you can sign the Copyright Transfer Statement online and indicate whether you wish to order OpenChoice and offprints. The four-yearly issues are expected to be completed by 31st March (n.1), 30th June (n.2), 30th September (n.3) and 31st December (n.4).